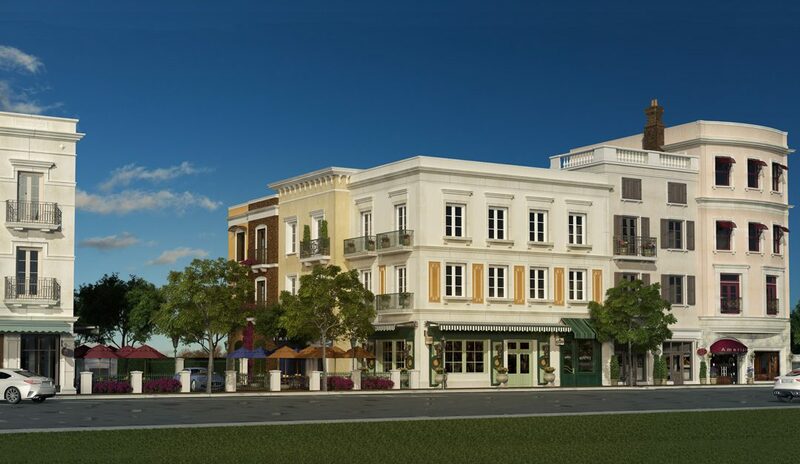 SARASOTA, FL – Local area developer, Mark Pierce, responsible for the building of Citrus Square, a mixed-use community on Orange Avenue in downtown Sarasota, announced today that he is developing a second condominium project, Courtyard at Citrus Square, taking this community in the Rosemary District to a new stature. Citrus Square pioneered the concept of new urbanism within the Rosemary District, establishing a well-planned neighborhood streetscape with ground level retail shops and restaurants, green spaces, and boutique style condominiums on the second and third floors. Retail venues offer residents and the public the best in dining, fitness, beauty care, financial services, etc., to compliment the urban lifestyle. The Courtyard at Citrus Square is an exciting next step in expanding this concept on Orange Avenue between Boulevard of the Arts and the existing Citrus Square project. The developer’s commitment to excellence and attention to detail are evident in both the existing project and the plans for the Courtyard at Citrus Square. Examples of this include the custom-etched finish of exterior railings, copper gutters, 10-foot ceilings, recessed French doors, hurricane-proof, energy-efficient windows, and the ultra-quiet sound abatement. As well received as the existing Citrus Square has been, Courtyard at Citrus Square boasts additional features that will appeal to discerning buyers. Solar panels will provide environmentally friendly exterior lighting as well as providing emergency power in case of grid failure. A secluded garden courtyard offers a private residential feel, complete with a fireplace to provide spacious outdoor living space for resident’s enjoyment. Sustainable features include energy efficient LED lighting for streetlights, an onsite underground water retention area, high performance air conditioning and appliances, highly reflective roofing, and insulated windows and doors. Residents of Courtyard at Citrus Square will enter their homes through a private, gated street in the rear of the community’s retail and restaurant zone. The one and two bedroom units, all built above industry standards, are priced from $375,000. The units feature high-end finishes such as wood cabinetry, seamless granite counters, designer stainless appliances, and solid-core doors and will include a carport within the gated community. For more information about residential units and pricing, please call the Citrus Square Sales Gallery, at 941-706-1465 or Contact Us Today!